Welcome to the 1st Joint African Healthy Kidney Scientific Researchers’ Conference(1stJHKSRC), In Kigali-Rwanda, Thursday March 9th, 2017, Celebrate the WORLD KIDNEY DAY in RWANDA for the Second Time, AUSC, RNSSO , HKF-RWANDA Copy Right, March 10th, 2016. Welcome to Join all PlannedCampaign activities in 3 Health Center (HC): Nyarugunga HC in Kicukiro District,Kimisagara HC in Nyarugenge District and Remera HC in Gasabo District,regarding celebration of WORLD KIDNEY DAY in Rwanda at the 2nd time,with the theme” Kidney Disease & Obesity”. FromMarch 6th to 8th/14h00 to 16h00/EVERY DAY. Freescreening Blood Pressure, Blood Sugar, Body Mass Index& Proteinuria. AGENDA OF THE DAY OF THE CONFERENCE THURSDAY MARCH 9TH ,2017. THE 1ST JOINT AFRICAN HEALTHY KIDNEY SCIENTIFIC RESEARCHERS’ CONFERENCE (1ST JAHKSRC)”LIVE THE LIFE OF A HEALTHIER KIDNEY DONOR”. The Office of the president of African Union Students’ Council (AUSC); a Pan-African Organization with mission to raise awareness of United Nations Sustainable Development Goals (SDG) among Africans and vision to shape the Better Africa We Deserve; through its partnership and collaboration established with Kigali City’s Health Centers through our planned Campaign activities in Kicukiro District, Nyarugenge District and Gasabo District , regarding celebration of WORLD KIDNEY DAY in Rwanda 2nd time, with theme” Kidney Disease & Obesity” ; welcomes all willing and interested Scientific researchers and Individuals from across the World to participate in the 1st Joint African Healthy Kidney Scientific Researchers’ Conference (1stJHKSRC), In Kigali-Rwanda, Thursday March 9th, 2017, to celebrate the International WORLD KIDNEY DAY in RWANDA for the Second time firstly organized by the AUSC,RNSSO,HKF-RWANDA Copy Right, March 10th, 2016. 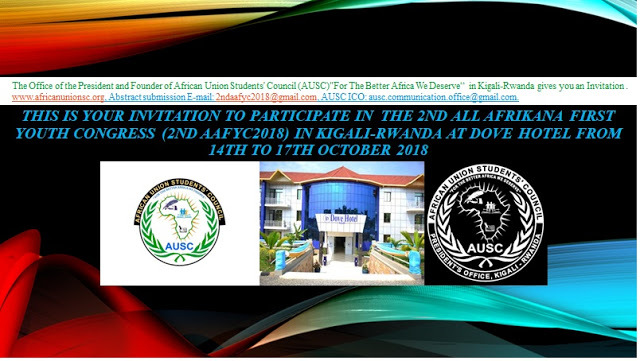 The AUSC President’s Office will fully support the whole event to take place in Kigali-Rwanda this time to benefit all Rwandan Population who are not yet considering themselves as Diseased with the Kidney Diseases and bring in an academic innovation for a special event of this year 2017 that will involve the whole continent of Africa physically present and online discussions to take place, for the main purpose of promoting the 3rd Goal of the 17 Sustainable Development Goals (SDGs) of the United Nations by creating the 1st Joint African Healthy Kidney Scientific Researchers Conference(1st JAHKSRC 2017) to take place in Rwanda, at Hill Top Hotel from March 9th , 2017 , On 13th March and on March 30th , 2017 following the Campaign progression covering the whole for the main purpose of promoting the 3rd,4th,15th, 16th, and 17th Goals of the 17 Sustainable Development Goals (SDGs) of the United Nations(UN). In fact, the Celebration of the World Kidney Day on International Level is organized by different NGOs either in the same countries or Worldwide and choosing where to focus for obtaining considerable harvest of Health education for the betterment of the World’s Population in General. Therefore, this is a joint event with the below planned activities to cover the whole month of March from 1st March to 31st March, 2017. I. PLEASE FEEL FREE TO SUBMIT YOUR ABSTRACT VIA OUR CONFERENCE E-MAIL: (abstracts.ausc.committee@gmail.com). Deadline; March 7th, 2017. Only Topics will be selected for approval for presentation during the conference for all abstracts that must be fitting in the Theme of the year 2017: “KIDNEY DISEASE & OBESITY” Healthy lifestyle for healthy kidneys. 1st JAHKSRC 2017 Conference registration and participation on that single day fees is 20USD per individual for all Professionals in Health , 10USD for International Students, and 00.00USD for all Rwandan Students university to primary School students are all invited. The registration and participation fees will be covering Tea Break and Conference Materials only . to be paid on the reception of the Conference Hall. II. AGENDA FOR THE WORLD KIDNEY DAY 2017 AND ASSOCIATED PARTNERS' All Planned Conferences ACTIVITIES. 1. 1. Monday 6th March to Wednesday 8th March, 2017: World Kidney Day 2017 Campaigns for RNSSO, AUSC, HKF-R , every day from 14h00 to 16h00 ,Kigali Local Time. Kicukiro, Remera, Kimisagara. 2. 2. Wednesday 8th March ,2017 The International Women’s Day Celebration for CYPAN, AUSC, OHEO, One Day from 14h00 to 16h00. NYARUGENGE-Kimisagara. 3. 3. Thursday 9th March, 2017: Open officially the 1st Joint African Healthy Kidney Scientific Researchers Conference (1st JAHKSRC) for HKF-R, AUSC, RNSSO, OHEO, CYPAN, FANSSO, MyFe, One Day from 07h30 to 11h30. HillTop Hotel & Country Club KICUKIRO. 4. 4. 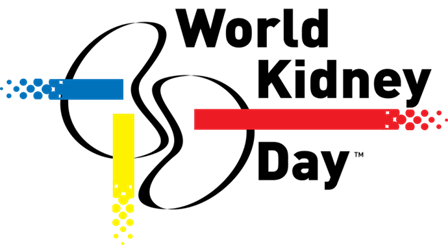 Monday 13th March, 2017: The Commonwealth Day Celebration 1st TIME in Rwanda by Commonwealth Youth Peace Ambassadors’ Network (CYPAN)-RWANDA Chapter For CYPAN, AUSC, OHEO: One Day from 14h00 to 17h00. Kicukiro, King David High School . 5. 5. Friday31st March, 2017: The Official Launching of African Students’ International Fund (ASIDF) and African Students' International Critical Thinkers Board (ASICTB) and African Students' International Newsletters and Media Board (ASINMB) For AUSC. One Day from 14h00 to 16h00. Hill Top Hotel and Country Club . 3. Every Part of this Agenda for the event on Friday 30th and 31st March, 2017 on the Official Launching of African Students’ International Fund (ASIDF) is provided in details of related activities of the African Union Students’ Council (AUSC) International Action Plan 2016-2019 on the AUSC official International Website: http://www.africanunionsc.org/2017/01/global-invitation-to-participate-in.html, http://www.africanunionsc.org/p/our-activities.html, http://www.africanusc.org/wp-content/uploads/2016/08/African-Union-Students-Council-Action-Plan-2016-2019-Final.pdf , . 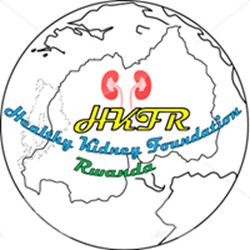 Welcome to THE 1ST JOINT AFRICAN HEALTHY KIDNEY SCIENTIFIC RESEARCHERS’ CONFERENCE (1ST JAHKSRC)”LIVE THE LIFE OF A HEALTHIER KIDNEY DONOR” , In Kigali-Rwanda, Thursday March 9th, 2017, Celebrate the WORLD KIDNEY DAY in RWANDA for the Second Time, AUSC, RNSSO, HKF-RWANDA Copy Right, March 10th, 2016. Fill this Form on the link below for online registration to attend this free of charge conference, and submission of your Abstracts, PPT or Poster Presentation. The earlier Preparation of the “World Kidney Day Celebration on 9th March 2017” in Rwanda, has taken place only from the collaboration of the African Union Students’ Council (AUSC)”For The Better Africa We Deserve” , Health Kidney Foundation Rwanda (HKFR) and the Rwanda Nursing Sciences Students’ Organization (RNSSO)”Arise and Shine” Associate Member of the Commonwealth Students’ Association (CSA)”Fraternity” with the Federation of African Nursing Sciences Students’ Organizations (FANSSO)”Together In Nursing” and the Commonwealth Youth Peace Ambassadors Network (CYPAN) also will give raise on the Celebration of the 1st Commonwealth Day in Rwanda on 13th March, 2017 and the Official Launching of the African Students’ International Development Fund (ASIDF) of 30th March, 2017, and others as available on the Agenda to complete the joint event activities as satisfying all partnering NGOs. 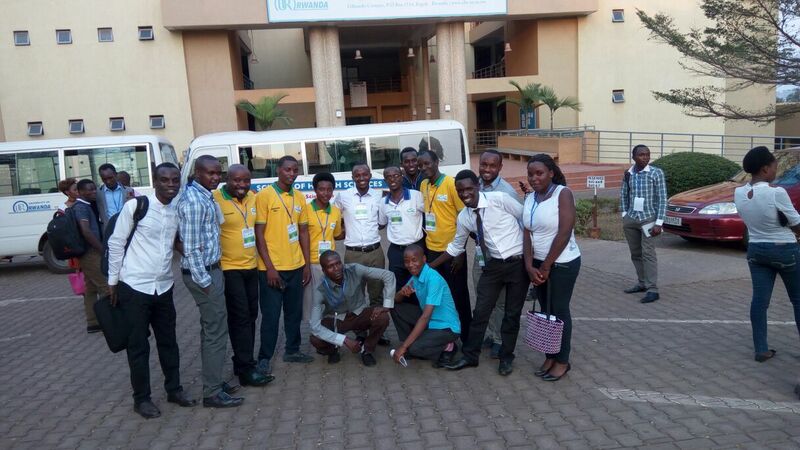 This is the second time in Rwanda to have the World kidney Day Celebration taking Place in Kigali Rwanda, and the first time has provided an exceptional experience to both the Rwanda Nursing Sciences Students’ Organization(RNSSO)” Arise and Shine” and Healthy Kidney Foundation Rwanda (HKF-Rwanda), and its main Partner the African Union Students” Council (AUSC) “ For The Better Africa We Deserve” where these organizations today take this great occasion to arise the potential of a healthy life among Africans based on a healthy Kidney. The purpose of the World Kidney Day campaigns is to raise awareness about the health of kidneys and highlight the immense burden caused by chronic kidney disease as well as encourage the government and the general public to invest in preventive measures and healthy lifestyle. 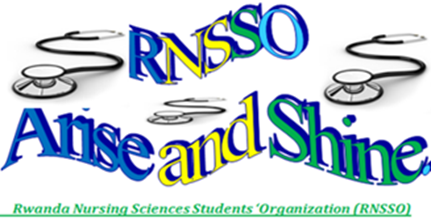 Therefore, it is in that context, African Union Students’ Council (AUSC)” For The Better Africa We Deserve”, Healthy Kidney Foundation –Rwanda and the Rwanda Nursing Sciences Students’ Organization (RNSSO)”Arise and Shine” wish to open officially the 1st Joint African Healthy Kidney Scientific Researchers Conference(1st JAHKSRC). This first ever existed conference will be the driving model of advanced research and innovative African Scientific Researchers platform to overlap different morbidities and conditions that accidently lead to the chronic damage of the Kidneys of human beings, which makes the affected African Population becoming the Health burden of their African Governments due to expensive searching for Kidney Transplant Donors and specialized care delivery found out of African Countries. 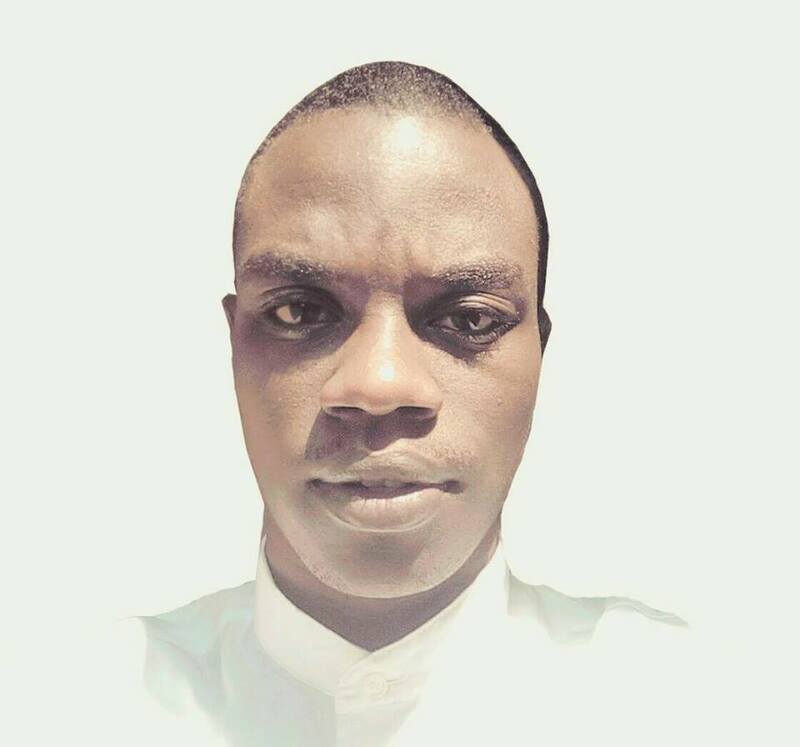 This conference, will give time to African scientific Researchers in the field of Health , to structure the ways forward that the African Health Institutions can follow to minimize and totally cover the management of African Population that are at high risk of developing Chronic Kidney damage such as obese and diabetic people. The Theme of this 1st Joint African Healthy Kidney Scientific Researchers Conference (1st JAHKSRC) is structured scientifically as ”Live the Life of a Healthier Kidney Donor”. The theme of this 1st Joint African Healthy Kidney Scientific Researchers Conference (1st JAHKSRC) is very significant on which measures all African Population will have to take to be prepared to become Kidney Donors. 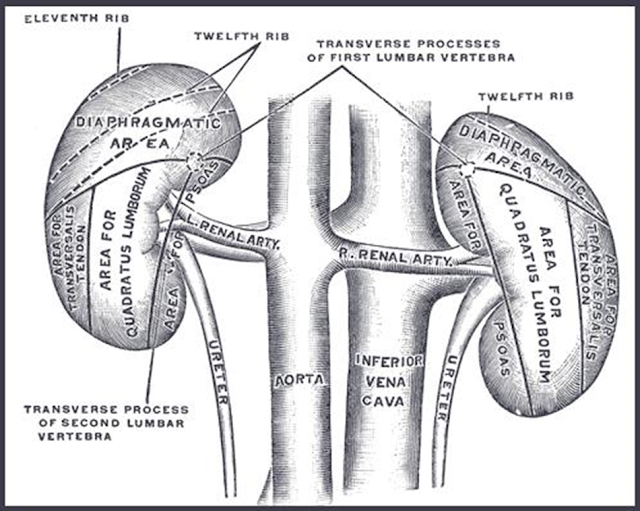 Therefore, it is in that way all African Population can learn how to maintain their kidneys safe and ready to serve their bodies to become healthier Kidney donors and completely eradicate preventable Chronic Kidney damages in Africa. This campaign is planned for the second time in full sponsorship by the African Union Students’ Council (AUSC)”For The Better Africa We Deserve” partnering with the ministry of Health through Rwanda Biomedical Center (RBC) and other health sciences Non-Governmental Organizations (NGOs) including Healthy Kidney Foundation-Rwanda and Rwanda Nursing Sciences Students’ Organization (RNSSO), Federation of African Nursing Sciences Students’ Organization(FANSSO), Commonwealth Youth Peace Ambassadors’ Network (CYPAN) following initiation of our campaign in Rwanda from March 10th, 2016 for scientific kidney diseases screening in Kigali City. The Event will as well give time for advocating for al United Nations Sustainable Development Goals including the Partnership, Peace and Health. Our current targeted Population is located in Kigali City’s three catchments areas in three Health Centers of Nyarugunga Health Center in Nyarugunga Sector in Kicukiro District, Remera Health Center in Remera Sector in Gasabo District, Kimisagara Health Center in Kimisagara Sector in Nyarugenge District, starting from 5th to 13th March, 2017. 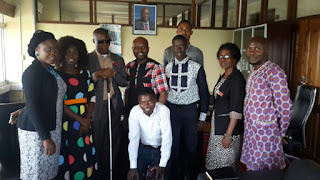 AUSC wished to fully implement 3rd SDG” GOOD HEALTH AND WELL-BEING” in Rwanda. This requested partnership and collaboration with Kigali City is supported by Article 4 and 5 of attached AUSC Notarized Constitution by Notary of Government of Rwanda, while our annual campaign will keep reducing occurrence of kidney disease, comorbidity and Mortality in Kigali City. 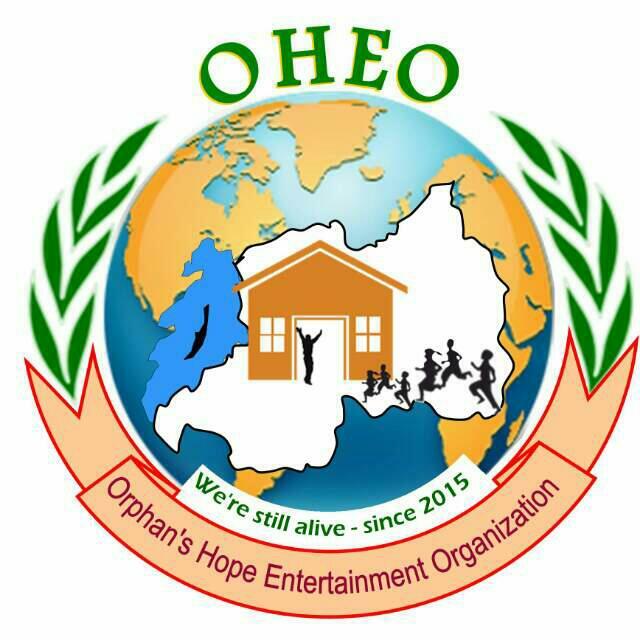 Associated conference will take place at Hotel Hilltop on 9th March 2017; bringing together all screened individuals and invitees of this organizing team, with screening team trained AUSC volunteers. World Kidney Day 2017 will be celebrated in Rwanda as it will be all over the world on 9th of March, (2nd Thursday in March). World Kidney Day is a global health campaign celebrated every year all across the world focusing the health and importance of the major body organ, kidneys to reduce the occurrence of kidney diseases as well as related health problems. It is commemorated worldwide on annual basis on the 2nd Thursday of March. It was started celebrating in the year 2006 by the 66 countries which were increased to become 88 countries in just 2 years. The celebration was initiated by the joint committee of “International Society of Nephrology and International Federation of Kidney Foundations”. It is commemorated every year by the health organizations on global basis to raise awareness among common people that most of the kidney diseases are preventable and curable. Health organizations organize this campaign at many places to spread messages about kidney diseases, complications and its prevention and cure all across the countries. It is celebrated to highlight the kidney problems related to the common health disorders like diabetes, high blood pressure which may lead to the Chronic Kidney Diseases. It is celebrated to encourage the common public through the systematic screening of all patients having problems like diabetes or hypertension. It is celebrated to motivate and promote the common public for the better prevention by describing them all aspects of the prevention measures in order to get prevented from such kidney problems. It is celebrated to instruct the medical professionals about all aspects of the kidneys as well as teaching them to play their key role in the detection and prevention of kidneys problems among the people of high risk populations. It is celebrated to get together of all the medical professionals from the local and national health authorities in order to control the spread of Chronic Kidney Diseases. It is celebrated to deal with the high risk problems as well as implement the new strategies by motivating all the governments’ authorities. It is celebrated to encourage the people about the kidneys donation and transplantation as a best option of life saving for getting free from the kidney failure or other Chronic Kidney Diseases. It is celebrated to encourage the people for the early detection and prevention methods of the kidney problems to reduce the future complications and deaths and disability from the chronic renal and cardiovascular failure. World Kidney Day is celebrated every year all across the world to gather millions of people at one place to raise the voice for the kidney health awareness. Variety of local, national or international level events are being organized for years by the kidney national associations, organizations, kidney health stakeholders, healthcare professionals, authorities and individuals to make a difference in the society for the kidney health. Variety of physical activity events like walking, cycling, jogging, fitness, dancing and etc are organized to get together. Fact sheets and posters of the related event are distributed in the schools, community centers and other educational institutions, news publishing at the websites or web pages and promotion of the campaign motto through the blogs, forums, twitter or Facebook and other informational websites. Kidneys health related topics like importance of kidney, kidney diseases and problems, kidney transplantation and life-saving aspect of the kidney donation are discussed in the classrooms, job places or other public places. At the big kidney health centers, students and researchers organize meetings to discuss their own research works, lecture on the chronic kidney diseases, prevention measures, renal transplants, dietary and treatment advice and etc. Public health announcements are takes place at various TV channels on both national and international level to make aware the common public about kidney donation, transplantation, early detection, prevention measures, treatment, lack of donor organs or use of deceased donor organs and so many topics. National and international level kidney problems conferences are held to discuss about to get solution. Other topics which are discussed are kid’s renal diseases, chronic renal diseases of adults, peritoneal and hemodialysis, diet for the patients with renal diseases and etc. Free health checkups are organized such as screening of blood glucose level, creatinine level, urine test, blood pressure and etc by the courtesy of health minister for the general public. Before knowing the points of kidneys care, you must have to answer yourself of some questions like are you at risk, do you suffering from the high blood pressure, do you have diabetes, do you have an earlier family history of kidney disease, are you obese or overweight, do you have smoking habit, are you more than 50 years of age, are you belong of African, Aboriginal, Hispanic or Asian origin. If your answers are yes to any of the question, you must meet your health practitioner or doctor to get the right solution as some early chronic kidney diseases never show any signs or symptoms. If you are really health conscious then meet your doctor to avoid any type of delay in the kidney failure as well as get the right treatment early at the right time. You would be surprised that a person with a simple kidney problem can lose up to 90% of his kidney functions without experiencing any signs or symptoms. Help your kidneys by keeping yourself fit and active as exercises helps in reducing blood pressure and thus reduces the risk of developing Chronic Kidney Disease. This event celebration motivates people for daily walking, running and cycling exercises. Help your kidneys by maintaining and controlling the normal the blood sugar level as high blood sugar level lead to the diabetes and thus kidney damage. This event celebration motivates people with diabetes to get regular medications, tests and check up of their kidney functions. Make your kidneys healthy by regular monitoring of your blood pressure as high blood pressure lead to the heart attack or stroke thus causes kidney damage. The normal blood pressure level of any person is 120/80. This event celebration encourages people to adopt healthy lifestyle and dietary changes, discuss their problems with doctor, monitor blood pressure on regular basis and etc. Keep your kidneys healthy by eating healthy and maintaining normal weight as overweight and unhealthy eating habit lead to the diabetes, heart diseases and many other problems lead to the Chronic Kidney Disease. This event celebration motivates people about the dietary habits and weight control measures like reducing the salt intake (5-6 grams or 1 tsf of salt a day), limit the intake of processed or restaurant foods, daily physical exercises and etc. Keep your kidneys healthy by maintaining the normal fluid intake on daily basis (at least 3 to 4 litres a day) as it helps the kidneys to filters out sodium, urea and other body toxins from body which may lead to the risk of developing chronic kidney diseases. World kidney day celebration on global basis encourages the people about proper fluid intake. Keep your kidneys healthy and fit by avoiding smoking or getting in contact with other smoking person as it slows down the blood flow to the kidneys which lessens their ability to function well as well as enhances the risk of kidney cancer by 50%. This event celebration promotes the people to keep their kidneys healthy by demonstrating the loss through smoking. Keep your kidneys healthy by avoiding the intake counter pills on regular basis as these are non-steroidal anti-inflammatory drugs (ibuprofen) which may lead to the kidney damage and various diseases. Such medications may cause arthritis or back pain and put your kidneys at risk. Keep your kidneys healthy by getting proper and regular check up of your kidney functions and developing of diabetes, hypertension, obese, family history of kidney disease and etc. Most of the people ignore their common problem that’s why they remain undiagnosed in the early stages of kidney problems. World kidney day celebration is a way to call everyone on stage at one place in order to get checked early if developing or having any risk of kidney disease. This event celebration brings people together and encourages them about the simple kidney function tests to get diagnosed of any risk factors which may lead to kidney problems. Never let your kidney problems to destroy your precious kidney functions as it progresses very silently without any symptoms. The early detection of kidney problem is very necessary to get the suitable treatment to prevent your kidney damage, deterioration and complications. Through this event celebration, simple laboratory tests of kidney are carried out by taking small samples of blood in order to measure the values of creatinine, albumin excretion and estimate the GFR (glomerular filtration rate). The availability of Serum Creatinine level in the blood, albumin in urine and blood sugar level measures the overall kidney health and its functions or Glomerular Filtration Rate. Creatinine, a waste product comes from the muscle activity, is generally getting removed from blood through the normal kidney functions, when its level rises in blood it denotes the slowness in kidney function. Normal GFR is 100 ml/min, but when it falls below 60 ml/min it indicates some serious kidney problems and immediate need to meet your kidney specialist. The presence of albumin in urine indicates the risk of GFR problem and premature heart attacks or strokes. The theme of World Kidney Day 2014 was “Chronic Kidney Disease (CKD) and aging”. The theme of World Kidney Day 2015 is “Kidney Health for All”. The theme of World Kidney Day 2016 would be “Kidney Disease & Children: Act Early to Prevent It”. V. THE THEME OF WORLD KIDNEY DAY 2017: “KIDNEY DISEASE & OBESITY” Healthy lifestyle for healthy kidneys. The Obesity is defined as abnormal or excessive fat accumulation that may impair health. In 2014, worldwide over 600 million adults were obese. A growing body of evidence indicates that obesity is also a potent risk factor for the development of chronic kidney disease (CKD) and end-stage renal disease (ESRD). People who are overweight or obese have 2 to 7 more chances of developing ESRD compared to those of normal weight. Obesity may lead to CKD both indirectly by increasing type 2 diabetes, hypertension and heart disease, and also by causing direct kidney damage by increasing the workload of the kidneys and other mechanisms. 3. Reducing obesity may reverse or slow CKD progression. VI. PLEASE FEEL FREE TO SUBMIT YOUR ABSTRACT VIA OUR CONFERENCE E-MAIL: (abstracts.ausc.committee@gmail.com). Deadline; March 7th, 2017. Only Topics will be selected for approval for presentation during the conference for all abstracts that must be fitting in the Theme of the year 2017: “KIDNEY DISEASE & OBESITY” Healthy lifestyle for healthy kidneys. VII. AGENDA FOR THE WORLD KIDNEY DAY 2017 AND ASSOCIATED PARTNERS ACTIVITIES. 10. Friday 31st March, 2017: The Official Launching of African Students’ International Fund (ASIDF) For AUSC. 3. Every Part of this Agenda for the event on Friday 30th and 31st March, 2017 on the Official Launching of African Students’ International Fund (ASIDF) is provided in details of related activities of the African Union Students’ Council (AUSC) International Action Plan 2016-2019 on the AUSC official International Website: http://www.africanunionsc.org/2017/01/global-invitation-to-participate-in.html, http://www.africanunionsc.org/p/our-activities.html, . 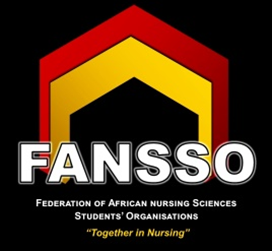 www.healthykidneyfoundation.org, www.africanunionsc.org, www.africanusc.org, www.rnsso.org, www.fansso.org, www.cypan.org, Tel: +250787384244, WhatsApp: +250736196204.